I’ve been meaning to make a quick set of 4 placemats for a while. 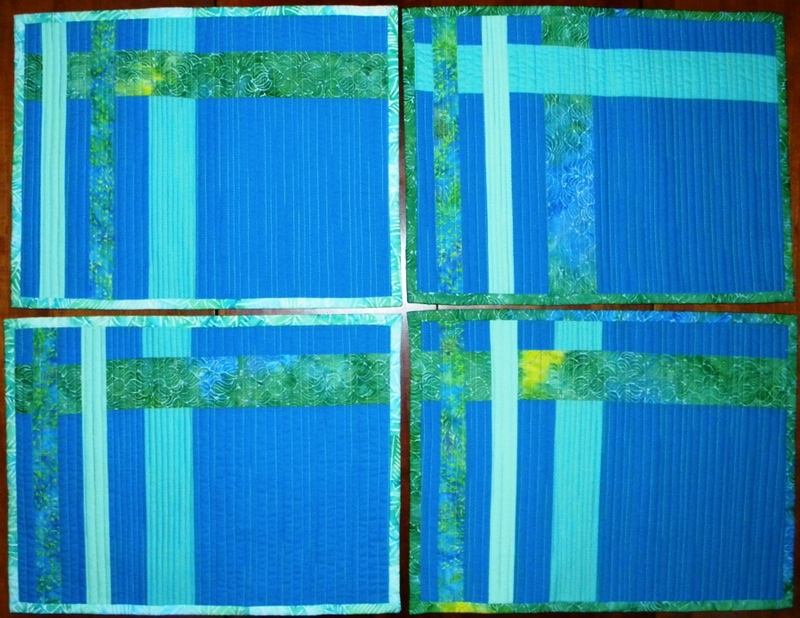 I stumbled on a placemat pattern from Alissa, a Modern Quilt Guild member, and before I knew it, I had 4 placemats. Yay! 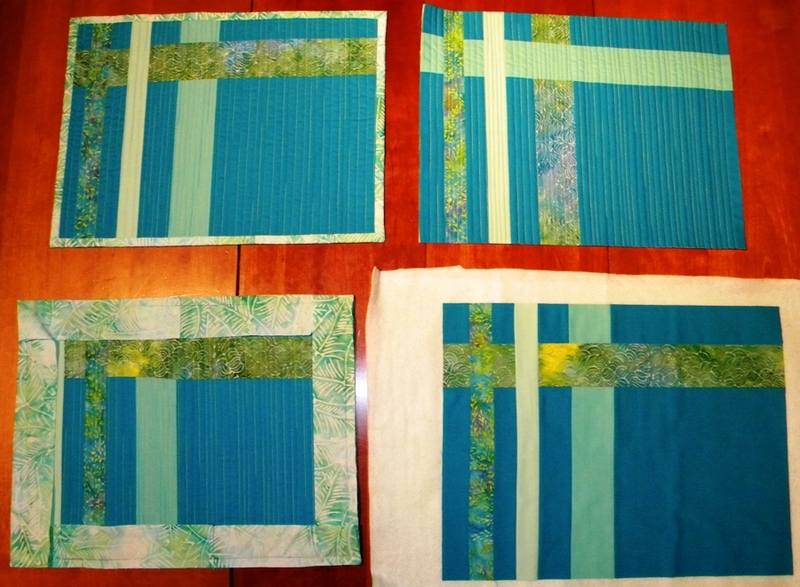 A word of advice when quilting these placemats – it is really easy to pull the horizontal line around if you quilt with vertical lines like Alissa and I did. I would suggest not trimming down the placemat until after it is quilted and to play around with how firmly your presser or walking foot presses down to help alleviate this problem. I probably should have used my new free motion foot!